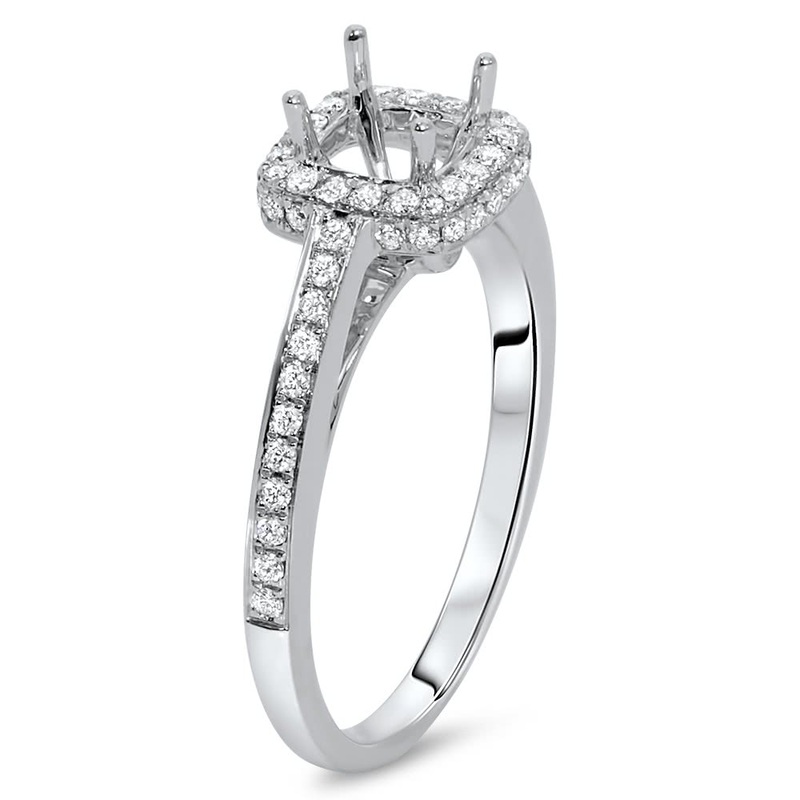 18k white gold engagement ring has micro pave side stones and in the halo. 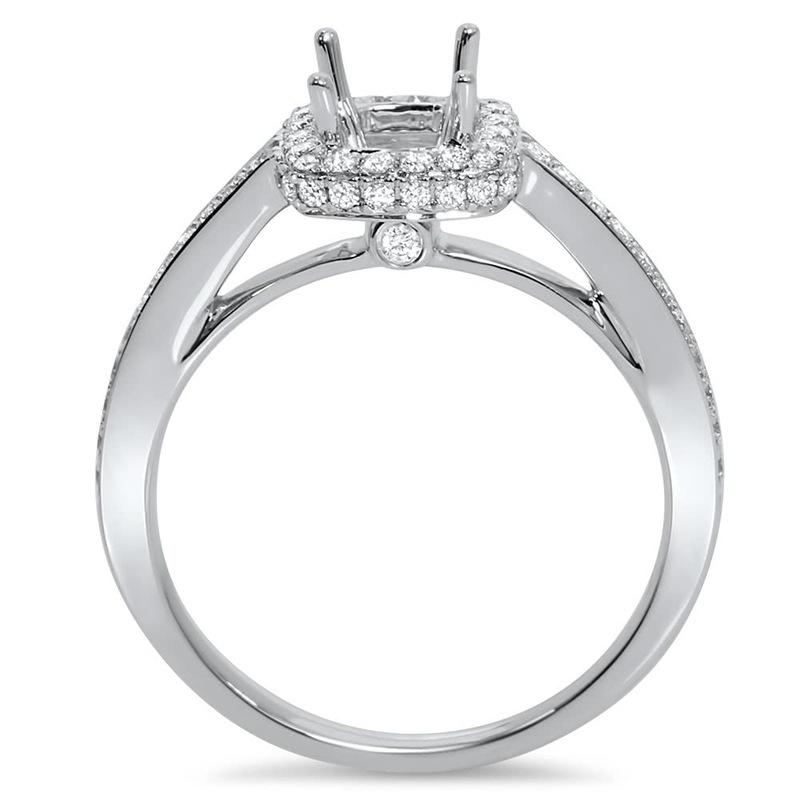 The diamonds cathedral up to the halo. 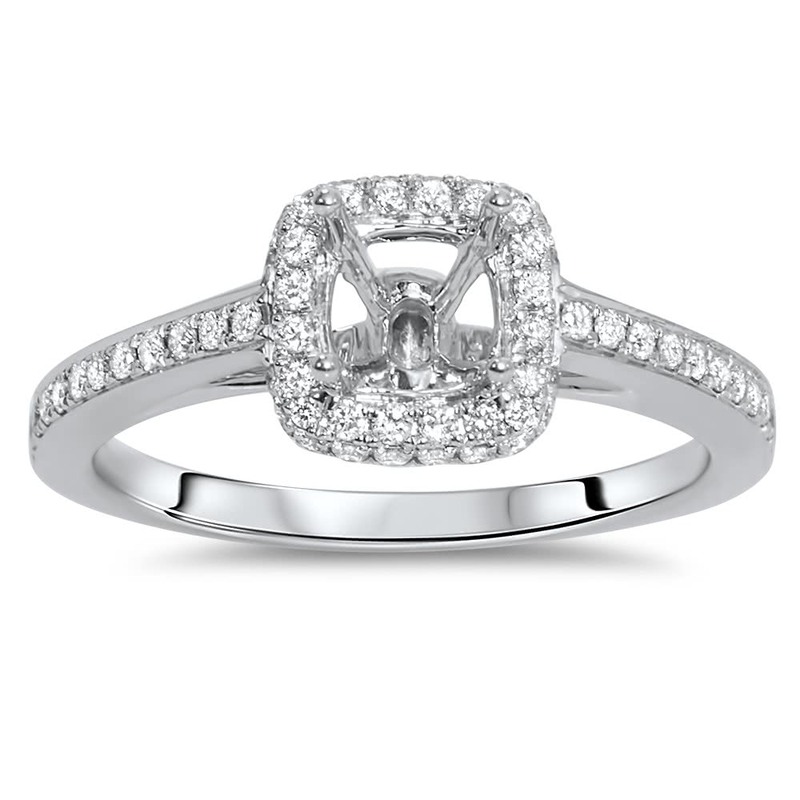 The ring will accommodate 2 carat round or cushion shape diamond.